The worst moment in NBC's Community season opener did not involve the pandering cameo by Betty White -- it came during the opening credits. 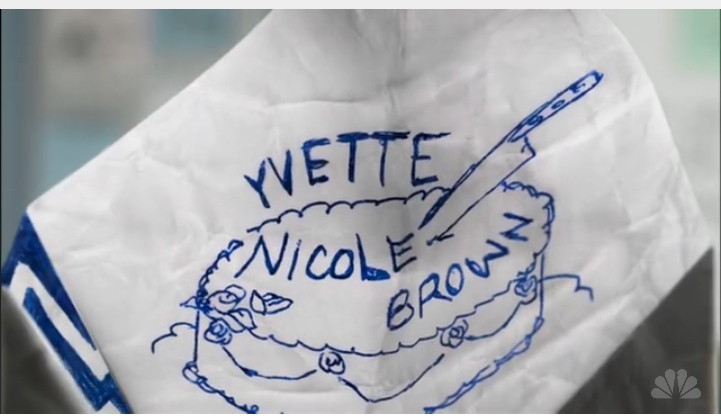 The witty character actress who plays Shirley had a bizarre graphic styling of her name in the cootie-catcher opening animation. It's bad enough Yvette Nicole Brown has the misfortune of having a name similar to a victim in an infamous double murder, but to have her name cut open like that other Nicole Brown is adding insult to injury. Never mind. At the end of the Comcast On Demand edition of the episode, the promo for NBC's new Law & Order series, Law & Order: Los Angeles, invokes the famous low-speed Bronco chase in which a "distraught" OJ threatened suicide all the way to his house. So someone else remembers. Oooh. Freaky. I didn't notice that! 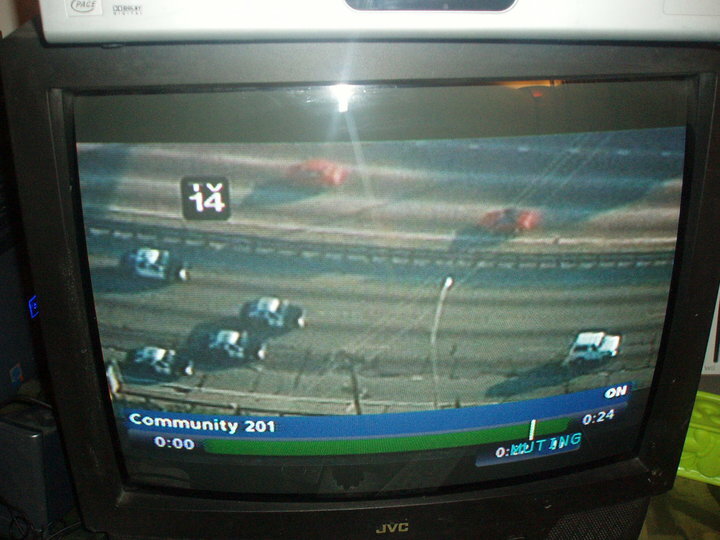 why are you watching Community?